A science-fiction drama/thriller by director Denis Villeneuve. If that is all I know, I would still be excited for this film - especially after his previous films Prisoners and Sicario. The premise of the story sounds interesting, although it could easily fall into the usual cliches of an alien movie. But I don't expect it to. At least, I hope it doesn't. In any case, the trailer looks pretty interesting and it looks to be another solid thriller. The universe of Harry Potter is so rich that it allows for such spin-offs such as this. And to be honest with you, I find this film to be more interesting than the original Harry Potter saga itself. Firstly, there is the eccentric Newt Scamander (played by Eddie Redmayne) - who isn't your typical protagonist but seems like a fun & likeable character. Then there is also the plot which seems to have a lot more impact on the social & political side of things. 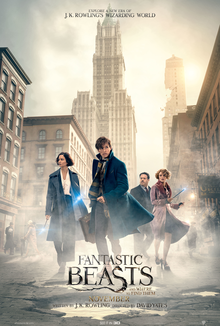 And finally, the visuals and the 1926 setting looks brilliant - as can be seen in the trailers below - which has a cool rendition of the original Harry Potter music. Check them out! A romantic thriller? This is not something we see every day. One that is directed by the brilliant Robert Zemeckis? Cool. The premise of this film is already very interesting - with two spies falling in love in the midst of their mission. This raises the stakes for these characters, so it is interesting to see how the plot will develop. And with a great director in Robert Zemeckis and equally great lead actors in Brad Pitt & Marion Cotillard, this looks to be a interesting film to look out for. This is a very easy buy for me. First off, and I know you may have been bored of hearing this over and over, this is a Disney Animations production - and their track record (Tangled, Frozen, Big Hero 6, Zootopia) has shown that they always produce nothing less than brilliant. And I don't see a reason why this will break that trend. 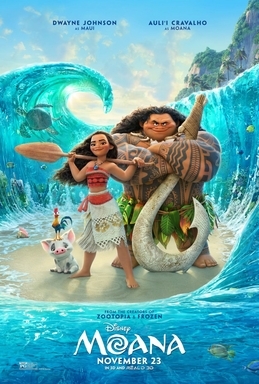 More than that, the plot and the characters of this film look very interesting, and I fancy the idea of an adventure in the seas and off the islands. And finally, the trailers look very exciting & fun, and it does seem like we're about to have some brilliant new songs from Disney. Out early in the month on November 4 is the Dreamworks Animation Musical film Trolls (https://www.youtube.com/watch?v=C0C_SLaUl4Y). I saw the trailer for this in the theater recently, and it does look fun and colourful. But it just doesn't appeal to me that much. Instead, something that does appeal to me is the biographical war film Hacksaw Ridge (https://www.youtube.com/watch?v=sslCRVx7nPQ), which also comes out on November 4. Directed by Mel Gibson, the trailer got me interested - but it's not a film I'll be waiting in line for. Up next is also another war drama film - Billy Lynn's Long Halftime Walk (https://www.youtube.com/watch?v=mUULFJ_I048) directed by legendary director Ang Lee is out on November 11. Meanwhile, if you're looking for a good drama, then you might want to look out for Manchester by the Sea (https://www.youtube.com/watch?v=gsVoD0pTge0) - out on November 18 - which has had excellent reviews after its screening in Sundance Film Festival and many other film festivals. And finally, for a good comedy, Bad Santa 2 (https://www.youtube.com/watch?v=uaK4V9phy0A) is out on November 23.